Learn about upcoming service opportunities for all types of groups. Learn ways you and your family can engage in ongoing service needs for our Least of These ministries. Click here for details on our current Carmel Collection. 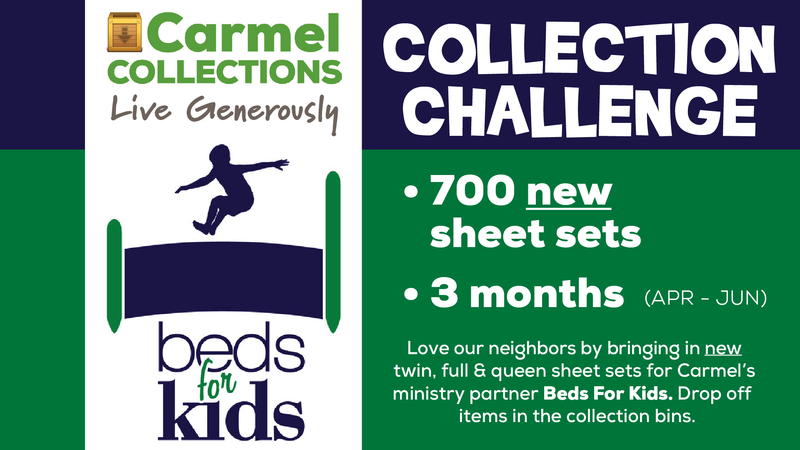 Learn about Carmel’s strategies for Church collaboration, church planting and revitalization, and get equipped to love + serve your neighbors.